Today I’m hosting Carol Frasser Hagen on Day 3 of a 5-day virtual tour for her new book, Helping Children Learn to Read Through Multi-Sensory Reading Activities: A Handbook and Resource for Parents and Teachers. The tour is sponsored by the National Writing for Children Center. While most children learn to read easily when taught using traditional teaching methods, there are about twenty percent of children who struggle to learn to read. Despite being taught by good teachers who use quality teaching materials and methods. Often these particular children have learning differences. Such as, trouble understanding oral language, trouble holding onto sequences and strings of words, or are dyslexic. That’s why it’s important to supplement traditional reading lessons with multi-sensory reading activities, to reach all the learning pathways within the brain: seeing, hearing, touching and muscle memory. Ensuring all children are successful learning to read. A reading activity included in my book for children who are visual learners and learn best with hands on experiences is Origami. The Japanese art of folding paper is fun and teaches children how to follow step-by-step written directions. Making Origami figures also reinforces another important concept. 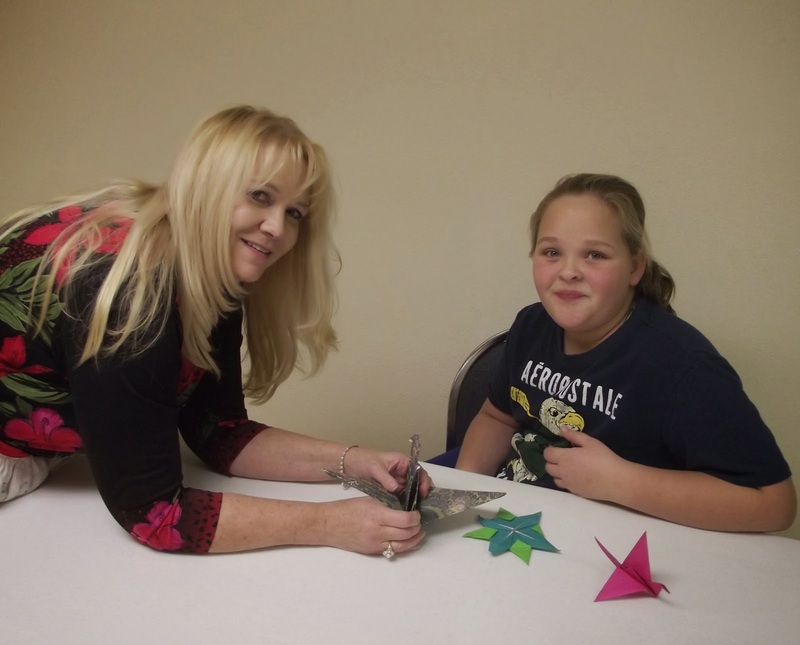 Children learn when they miss or skip steps that not only does their Origami project come out incorrectly but the same will be true about other assignments or activities, which also require sequential steps. Helping Children Learn To Read Through Multi-Sensory Reading Activities - A Handbook and Resource for Parents and Teachers provides reading activities that reach all the learning pathways within the brain: seeing, hearing, touching and muscle memory. Along with lists of recommended books and other resources that parents and teachers can use to enhance whatever curriculum is being used to teach their children or students how to read. All the activities and resources are grouped for different ages and reading ability levels of children from babyhood through elementary school. Helping Children Learn To Read Through Multi-Sensory Reading Activities - A Handbook and Resource for Parents and Teachers is due for release late this month. If you would like to pre-order an autographed copy please email at carolfraserhagen@yahoo.com and I’ll reply directly to you with information on how you can receive your autographed copy. Carol Fraser Hagen is a former elementary Reading Specialist and Dyslexia Therapist from the Midwest. In addition to a bachelors degree in Secondary Education she holds a Masters in Special Reading and an Educational Specialist in Curriculum and Instruction. In addition to writing about reading education Carol is a freelance writer and a published children’s writer. For more tips and resources on reading education, subscribe to Carol Fraser Hagen’s free newsletter www.thelearningleafnews.com and receive teaching tips and resources on teaching to read. Also, Just click on Carol’s New Book to get a sneak peek of some of the pages in her book.